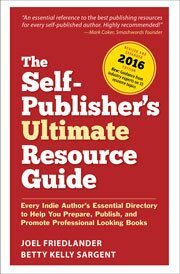 Dave Chesson is the author behind Kindlepreneur.com, a website devoted to teaching advanced self-publishing marketing methods. If you would like to know more about Kindle keywords, or Amazon search engine rankings, then check out his free book on Amazon Kindle Rankings on his website. I’m currently enrolled in Self Publishing School and working on a book. This is probably a dumb question, but I published my first book with WestBow Press with very little success. It’s available on Amazon, but I knew nothing about keywords. Is it possible to add keywords on my first book, even though I didn’t publish it through Amazon? Hi Jennifer. To change your 7 Kindle keywords, you’ll need access to the KDP account that the book was published under – which I’m sure they won’t allow you to do. Your best bet is to contact them and ask them to update them. I changed my keywords for a book and saw an immediate spike in sales over the next few weeks or months. Since I didn’t change anything else, I assume the keywords were the reason for this! Loved this article. Hey Brian, that’s awesome to hear. Increasing your searchability on Amazon always helps and choosing Keywords that people actually type in that doesn’t have a billion competitors always helps. I too was surprised at this advice. Won’t Amazon pull a book that breaks that covenant? The choice of the right keywords put my newest book in the #39 position, with no promotion and maybe one sale (to me). I am making corrections and don’t want anyone to buy the book yet, but I am positioned well for when I want to start selling. An esoteric, specialized or obscure key word can be a competitive advantage. A very popular term can sink you to the bottom of the list. This is brilliant, and it’s good to know about number five. It sounds like gold in the age of mobile link sharing. I have a question about titles and subtitles. Does the same logic apply to fiction novel titles? If not, is it advisable to create a subtitle on the product page strictly for SEO purposes? In that article Derek weaves a great tapestry on all the different components required to form a good Title/Subtitle including a discussion on keyword optimization purposes. Depending on your situation/strategy it can help. However, if it were me doing my fiction…not sure….I’d have to validate whether or not the Keyword is worth it. If it has low competition AND high enough traffic, then sure….it would help get my book in front of more potential readers. But if not, then I wouldn’t worry about it. Just a heads up about #4, even though Amazon recommends keywords in the book’s description, they don’t index those words. Amazon won’t find sentences copied and pasted from the description with its search engine. Google will, but Amazon doesn’t. Try some experimenting to see. For example, this is the 2nd sentence in one of my book’s description at Amazon: Imagine having probing cameras that could focus to any star or planet looking for life. Amazon won’t find the book, The Little Universe, via its own search engine. However Google will find the Amazon book from that same search. Another item to add to the keyword list is text within the book itself, either in the Kindle sample section or in the print versions if you have Look Inside enabled. Those words do get indexed and found by Amazon’s search engine. Do your best to make the title short and easily remembered. Some sales spread by word of mouth. An easily remembered title is one easy to pass on. For the title, I rank catchy over descriptive. “Hospital Gowns and Other Embarrassments” is catchy and calls to mind what people feel about those revealing hospital gowns. Not incidentally, it brings in two important key words, “Hospital” and “Embarrassment.” That said, it doesn’t tell what the book is about. Make your subtitle clear and descriptive of the content without being wordy. For that title above, the subtitle was “A Teen Girl’s Guide to Hospitals.” Together, the two are a perfect description of the content. It’s advice to hospitalized teen girls on how to avoid embarrassment. Remember that, as your book winds its way through various distribution and retail databases, sometimes the only thing that survives are that title and subtitle. They matter. Spend much time getting that cover right too. For online sales, it’s the most obvious part of your book people will see before they buy. For that book above, it’s a serious looking girl in a hospital gown looking up at the camera. Given the title and subtitle, the cover absolutely had to feature a girl in a hospital gown. That matters because many book covers, while demonstrating much effort in their creation, seem to bear little relationship to the book itself. They may be pretty and striking, but say little about the book. Get that cover, title, subtitle and book content in synch. They should all reinforce the same message. Getting them to work together will suggest to readers that what you’ve written also hangs together. For cover images I prefer searching through online stock photos services for just the right one. Your choices are likely to number in the hundreds, so you can almost always find one that is just right. And since they’re taken by professionals, they’re typically well-composed and color-balanced. While many of today’s covers seem complex, I prefer to keep mine simple. Just that image with the title/subtitle and author carefully placed. The less I have to do, the less risk I will get something wrong. I also find a back cover photo that fits with the image on the front and do my best to have the same background color (white in the case of Hospital Gowns) wrap from the front cover to the spine to the back cover. That avoids problems in printing if the spine doesn’t quite line up properly. That is particularly critical if you’re publishing print on demand with either Createspace or Ingram. With both, spine alignment can be a problem. For instance, a black spine background leaking over onto a light front cover background looks cheap.